Hinz Fine Art Studio was created in 1985 and has fulfilled over 350 commissioned works for churches throughout the United States. 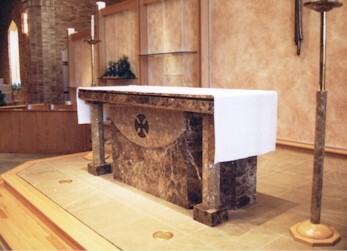 Our goal is to assist you in the design, creation and installation of furnishings, sculpture and fine art for your church. 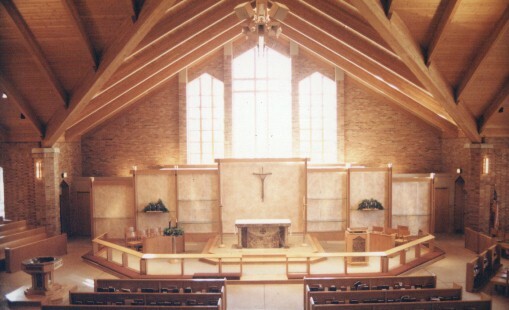 Our studio will work closely with your art committee to establish and clarify the needs of your church and assist you in visualizing the finished product through architectural sketches, renderings and maquettes. Our work includes traditional and contemporary styles on an intimate or monumental scale in marble, bronze, wood, metals, and ceramic. Tim has had over 25 years experience working as an artist sculptor and designer. He earned an MFA degree from the University of North Texas and currently teaches sculpture and design at Red Rocks Community College. 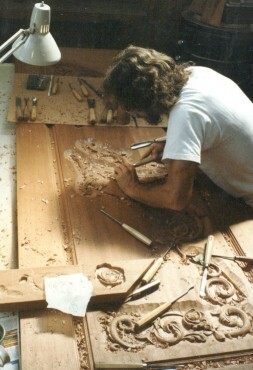 He is an accomplished sculptor working in bronze, wood, marble, metals, and ceramic. Timothy enjoys working with people and sharing the Gospel of Christ through his work. Committed to producing works with the highest quality and craftsmanship, Tim welcomes the opportunity to work with you as an artist, designer, and / or consultant.or consultant.